Harwell Design has made thousands of fences, but among the most popular are the horizontal style. Here in Los Angeles a style of housing that is taking over ins the Mid-Century Modern homes. these homes have sleek modern lines with patterns and decor resembling that of the 1950’s. Many homes have the architecture resembling Richard Neutra or Eero Saarinen. Here at Harwell Design we admire these artists and want to contribute to the style of beauty they brought to our culture. Our horizontal fences and gates as mentioned are some of the most popular of our selection. The sharp horizontal lines go well with most modern homes and mesh perfectly with the architecture. 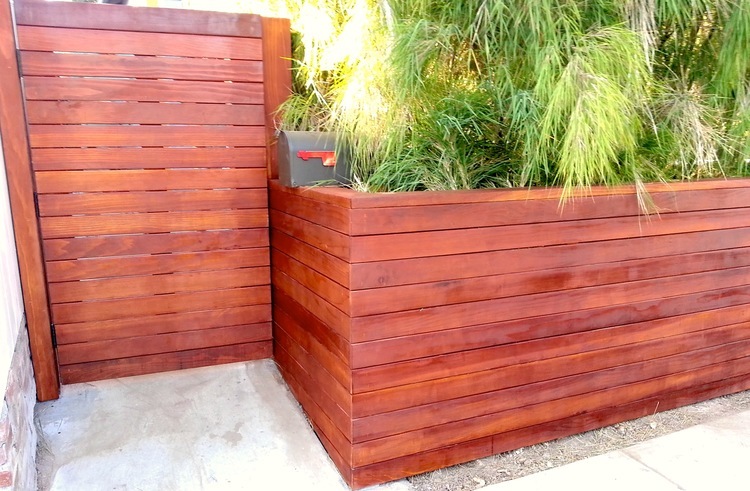 If you are interested in getting a horizontal fence call our main line (310) 601- 6616. We would love to help you get a free quote!